Seeing as I am officially an ‘adult’ now I have to try and not eat out as much and attempt to save some money. (Boring right?) At university I used to cook for myself all the time and I thoroughly enjoyed it, however now I don’t have an eight hour a week part time job with eight hours of studying Criminology, I am now part of the real world with a Monday to Friday 9 to 5 job. So this is me starting my ‘survival’ training of feeding myself like an adult, I am going to try a different cookbook each month and let you know if the recipes are easy to make, how much they cost, if they are healthy, if they taste good and how long they take to make. 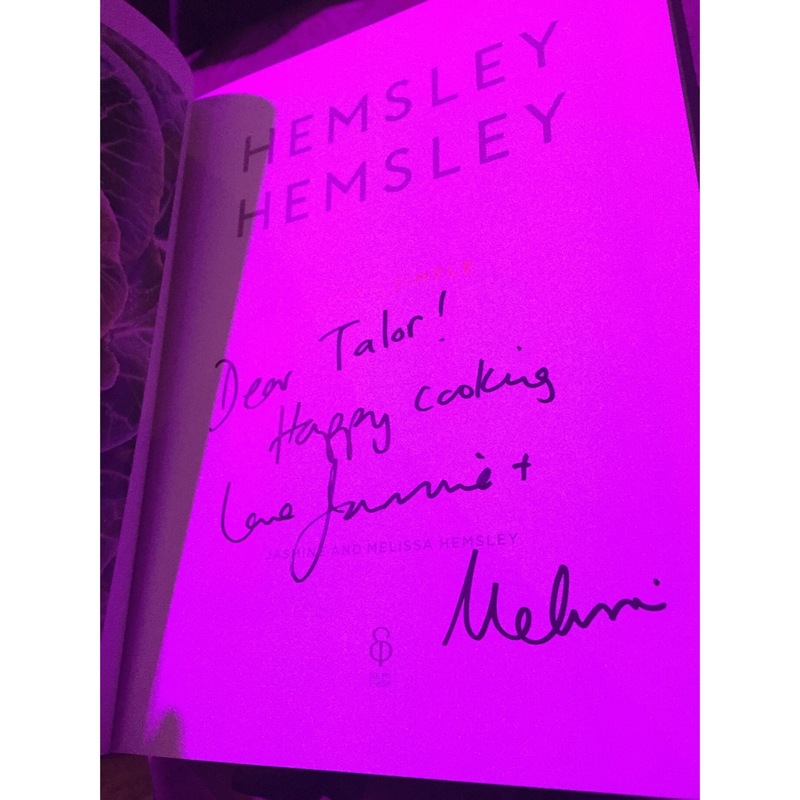 The choice for March is going to be the new Hemsley and Hemsley cookbook called ‘Good and Simple’, I used to live off of ‘The Art of Eating Well’ at University. You can tell by the food splattered pages that it is a well used book so I had high hopes for the new one. 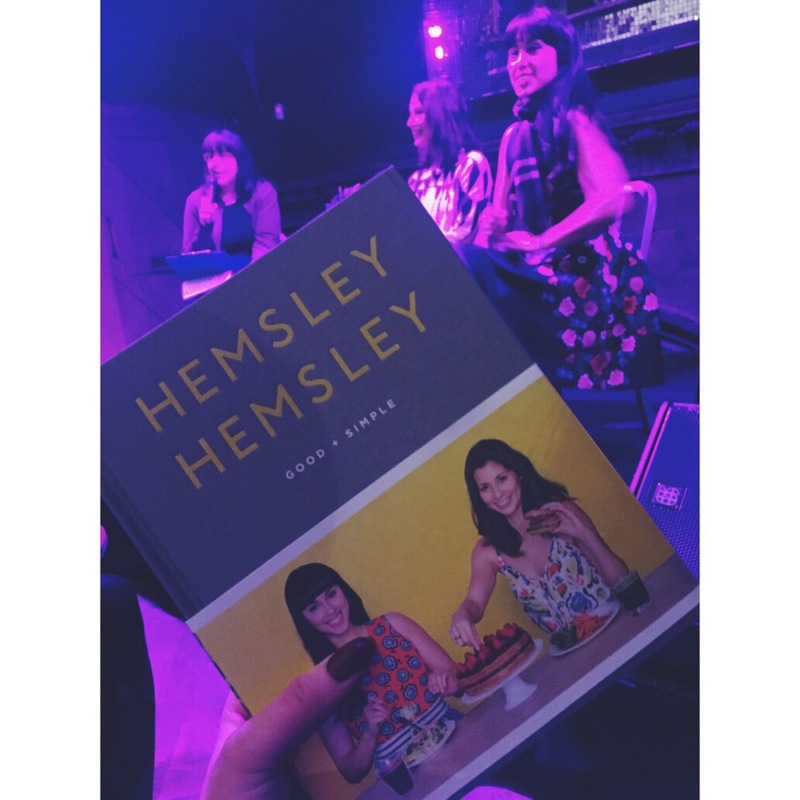 Waterstones held a book signing and talk with Hemsley and Hemsley because of their new book (tickets were only £5). 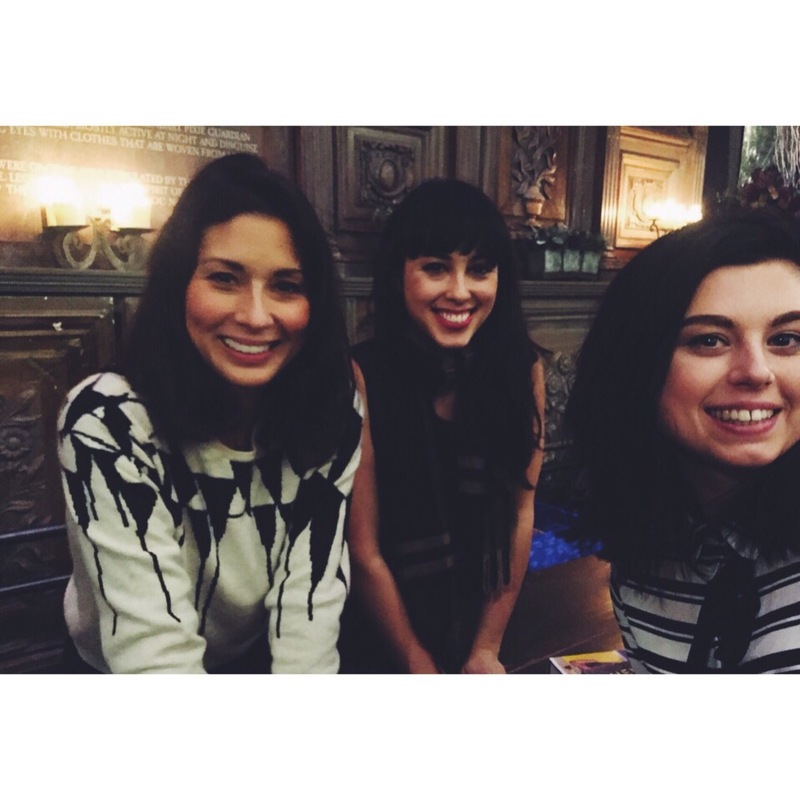 These girls are like celebrities to me seeing as they fed me through Uni and I was lucky enough to meet them (*fangirled*). Not only were they lovely, they were incredibly interesting. Honestly their view on how we should be eating food opened my eyes, especially in regards to the affect it has on the body. They really made you wonder what exactly you were buying at the supermarket and what ingredients are used, it is worth looking into if you are interested in that kind of thing. (I now attempt to buy organic when I can afford it). I decided to try their Dahl. Why? Because they couldn’t describe enough how much of a lifesaver dish it was for them and that they would even eat it for breakfast. I have to say I agree with them it was delicious and the perfect meal for lunch and dinner (I am not too sure about breakfast). It is VERY easy to make, VERY cheap to make and you end up with A LOT of food. It would be a great alternative to rice as a side dish if you were ever hosting a dinner party. 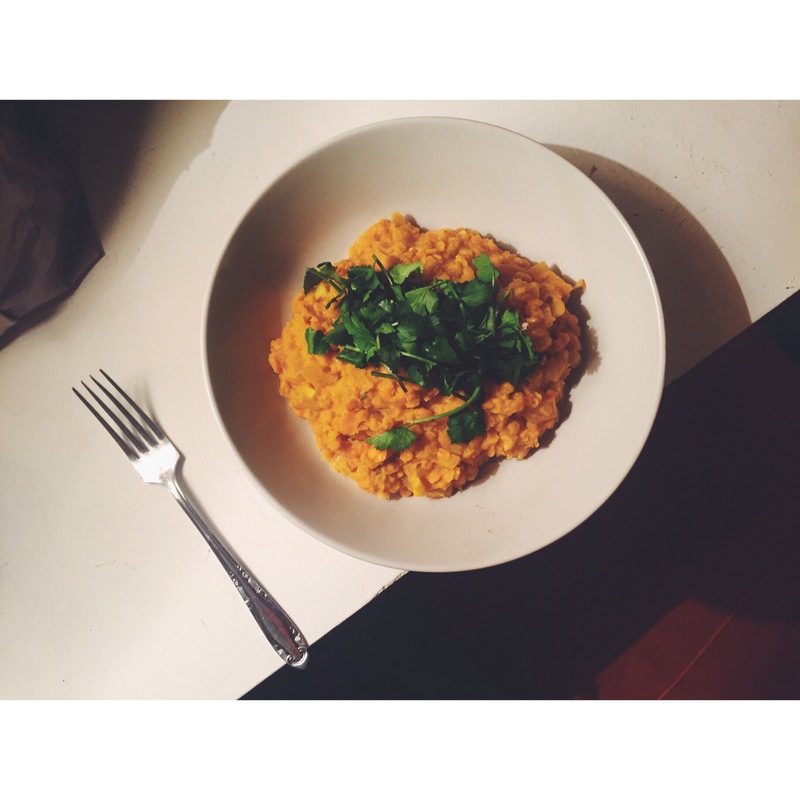 It fills you right up and it gave me a ton of energy, I am also obsessed with coriander so I smothered it in it. However I was being impatient when I made it as I had just come home from work and was pretty knackered so I decided to cut a corner, which didn’t work out too well for me. I did not cut the ginger up small enough so this one part of the dish ended up being undercooked. It is a good thing I like ginger as it was nearly raw, woops. So, if I have any advice – cut your ginger up small or grate it! Recently I have heard they are bringing out their own TV show, and I will be racing to the television when it is on. Next time I will be making more than one dish, unfortunately due to getting a new job and moving house I haven’t had the time to explore the cookbook thoroughly however I will update you on my Instagram (link below). I haven’t decided what cookbook I will be using in April if you have a suggestion let me know. 25/25 from Cup of T! Recommend: great for making straight after work as fast, fills you up and produces a lot.